Deputy PM Michael McCormack has target on his back in wake of party turmoil. 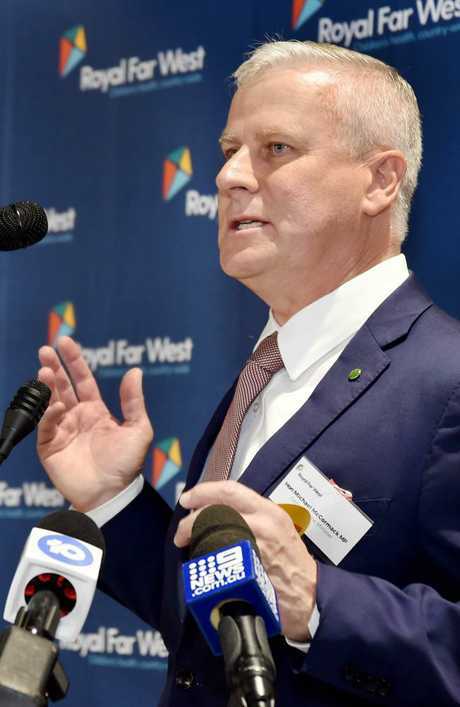 DEPUTY Prime Minister Michael McCormack is on the edge of a leadership challenge as colleagues accuse him of hiding a key supporter's "sugar babe" scandal to protect himself from being rolled. While some Liberals are plotting to convince the Nationals to replace Mr McCormack with deputy Bridget McKenzie by the end of the year, Mr McCormack hit the phones yesterday to sandbag his leadership. Senator McKenzie is viewed by some as an antidote to Pauline Hanson in Queensland plus an answer to the Coalition's so-called "female problem". 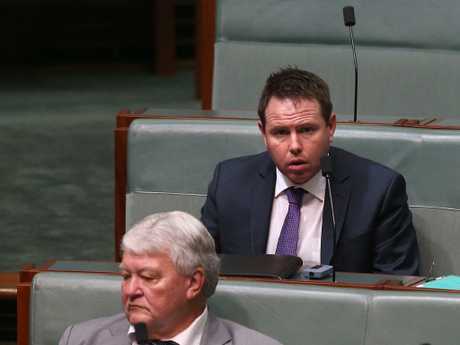 It is understood some Nationals colleagues have told Mr McCormack in the past 48 hours that he no longer has their support, while others said they were frustrated by the way the Andrew Broad "sugar babe" scandal had been handled. Speculation is mounting Senator McKenzie may run in Mr Broad's Victoria seat of Mallee. Mr Broad will not recontest the next election after the bombshell claims the married father set up an overseas date with a woman seeking a sugar daddy. The Nationals have a planning meeting on February 11 but some believe the growing drama will force a special party room meeting, where a challenge could be launched. Others do not want another leadership challenge until after the next federal election. At the time Mr McCormack was made aware of some details about Mr Broad's purported dalliance abroad about six weeks ago, parliament was sitting and supporters of Barnaby Joyce were preparing for a leadership spill. Mr Joyce did not have the numbers but it was tight. Mr McCormack needed Mr Broad's support in any challenge, highly placed sources said. 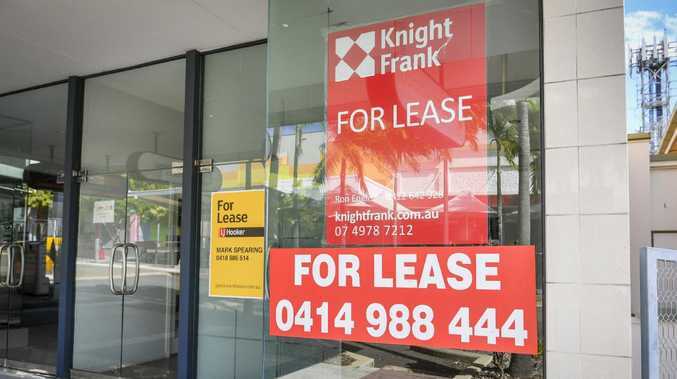 Mr Broad was one of four ­rusted-on supporters and his dumping as Assistant Minister to Mr McCormack (which only ­happened once the news broke) could have changed the party room dynamic. 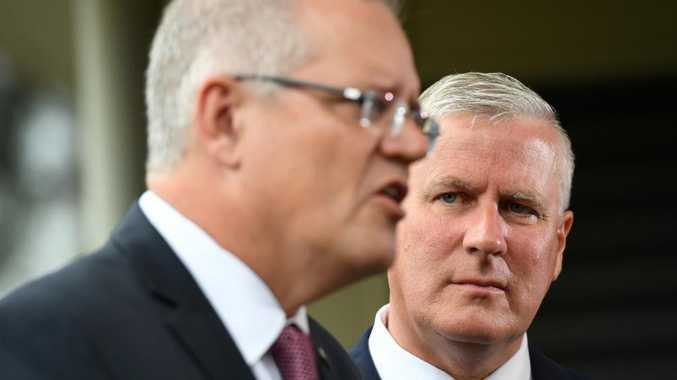 Mr McCormack is being privately slammed by Liberals for staying mute during crucial Expenditure Review Committee meetings about the timing and any distractions to Monday's Mid-Year Economic and Fiscal Outlook, which was overshadowed by Mr Broad's resignation. The Courier-Mail asked Mr McCormack's office whether he hid the scandal to protect his leadership and why he did not tell colleagues about the Broad scandal during MYEFO tactic meetings. They would not address the questions. Nationals president Larry Anthony said he wanted to see a woman run in Mallee and that Senator McKenzie was "a very capable woman … but that's a decision for Bridget and I haven't spoken to her about that". Mr McCormack hinted he would prefer a local to run. "If Bridget decides she is going to have a go at contesting Mallee then she will have my full support ... (but) the Nationals often look to a local champion, I am sure there are plenty of local champions in and around Mallee,'' he said. Comment was sought from Senator McKenzie.